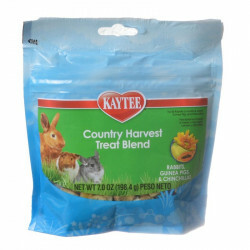 Welcome to the Hamster & Gerbil Treats superstore! 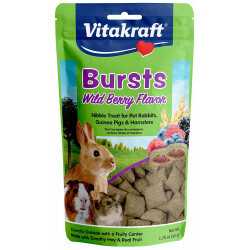 Hamsters are omnivores, meaning they can eat and digest a wide variety of food types. 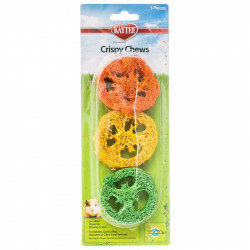 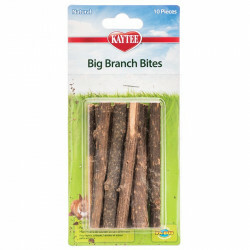 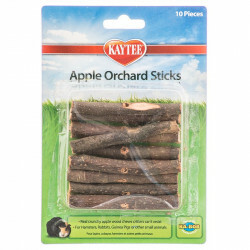 While their regular staple diet should consist mainly of grasses and hays, there's no harm in rewarding a well-behaved little pet with some tasty fruit, vegetable, or berry-flavored treats! 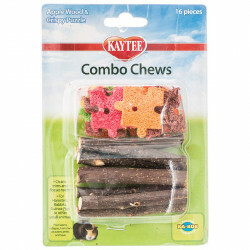 And of course, like most small pets, hamsters and gerbils love to chew, so providing yours with edible, yummy and wholesome chew treats is a great way to exercise its natural instincts at the same time. 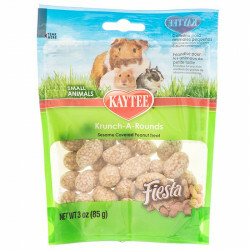 Pet Mountain's Hamster & Gerbil Treats store features top quality products from the most trusted names in small pet care and feeding, including Kaytee, Kaytee Fiesta, Vitakraft, T-rex, Super Pet, Ecotrition, and more. 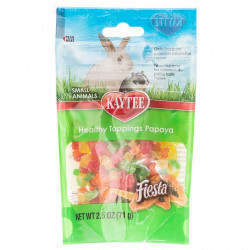 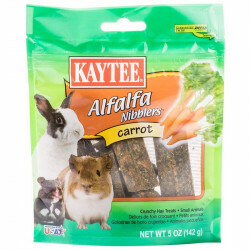 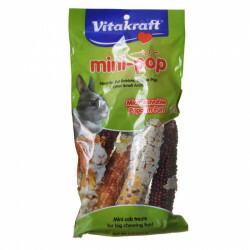 Kaytee Fiesta Healthy Toppings for Small Animals - Papaya add a little something extra to your small pet's diet. 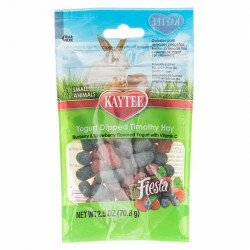 Make every meal special by offering Healthy Toppings as a great side dish or adding to their regular diet. 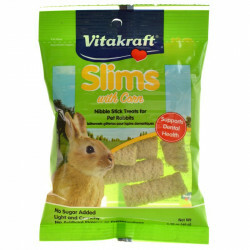 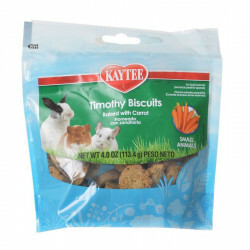 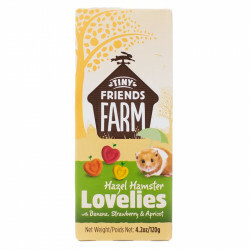 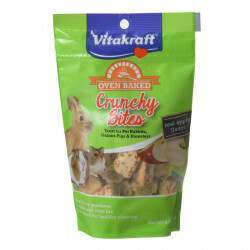 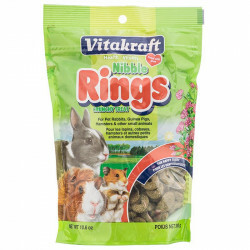 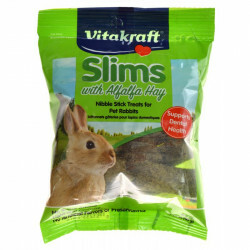 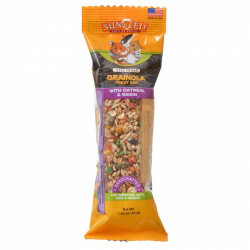 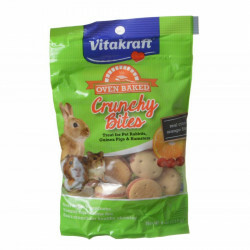 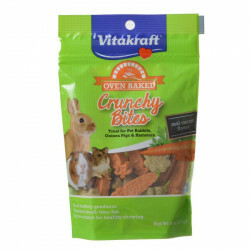 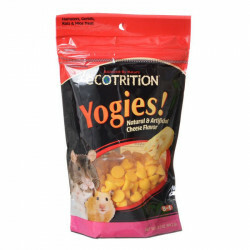 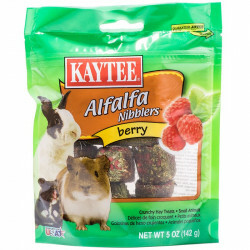 With extra nutritional value and a delicious flavor, your hamster or gerbil will love this treat. 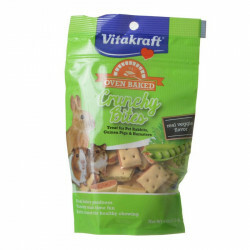 T-Rex Tasty Pretzel Treats for Small Animals are pretzel shaped twists that have lots of appeal. 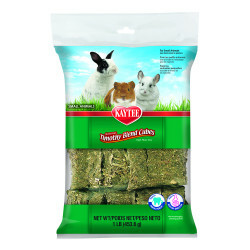 The Tasty Pretzel Treats for Small Animals are tasty and fun for your pet to hold, carry and eat.